Vests can add style to any look, peasant or noble. 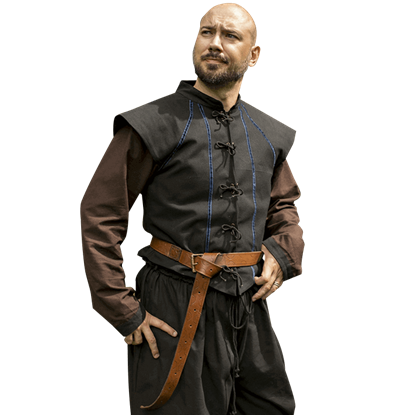 LARP Distribution offers a variety of wholesale medieval and Renaissance vests that are ideal for live action roleplay, as well as for historical reenactment, Renaissance fairs, and more. 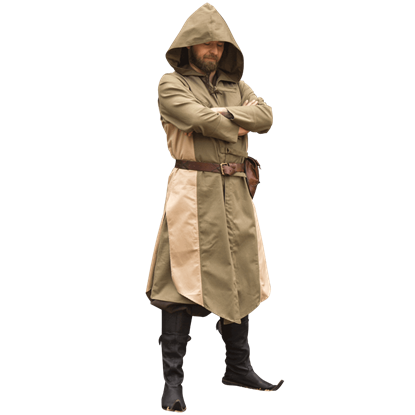 We offer medieval vests for men and women made in historical styles and vests with a fantasy feel to their overall looks, long in length and featuring hoods. These are vests that add a lot of character to any outfit. We offer our vests in a range of sizes and styles for outfitting the whole family in medieval fantasy LARP clothing. 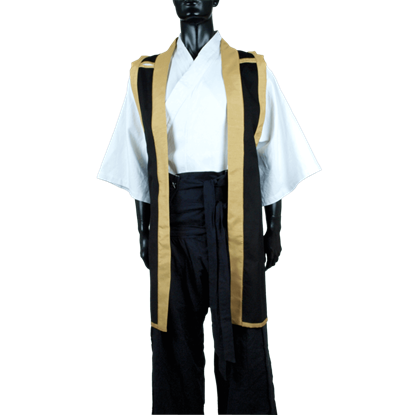 Shop our wholesale vests for a number of versatile and high quality medieval and fantasy vest styles. 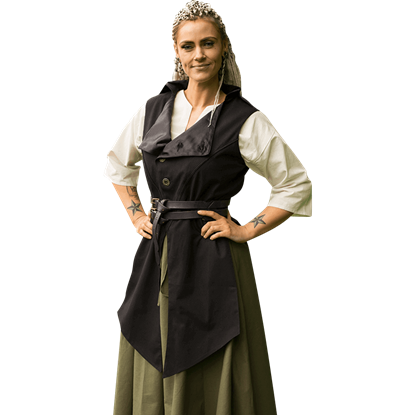 Whether you choose an enchanted forest or a bustling, historical village for your setting, be you a brave warrior, clever elf, dashing gentleman, or fair maiden, the Dorian Vest adds a distinctive touch to your roleplay costume. The Tristan Vest is a stylish addition to the wardrobes of trusted court advisors and well-mannered townsfolk. Simply decorated with contrasting ribbon trim to emphasize a sleek look, this fitted medieval vest ends at the waist.